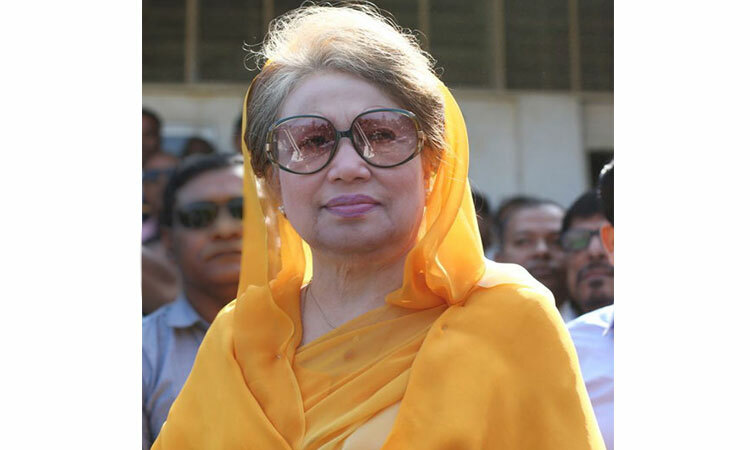 The Supreme Court on Tuesday upheld a High Court order that granted bail to BNP Chairperson Khaleda Zia in a case filed under the Special Powers Act over the arson attack in Cumilla on Feb 3, 2015. A three-member bench of the Appellate Division headed by Chief Justice Syed Mahmud Hossain passed the order. The SC also ordered to dispose the maintainability of the petition within seven days. Earlier on Monday, the SC fixed the date after completing hearing of the leave-to-appeal petition filed against the High Court order. On May 28, the HC granted bail for six months to BNP chief Khaleda Zia in two cases filed in Cumilla. Later, the government filed a petition with the Appellate Division seeking a stay on the bail order. Eight people killed and 20 others were injured when miscreants hurled a petrol bomb at a bus at Jogmohanpur in Chouddagram of Cumilla district during the BNP-led alliance's movement on 2015.